Hamiltons presents the first-ever UK exhibition of paintings by Irving Penn. 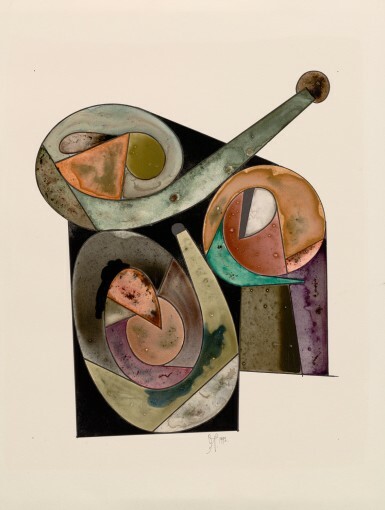 Although Penn is internationally renowned for his work as a photographer, he initially set out to be a painter and worked in the medium at the beginning and end of his career. Focused on Penn’s paintings from the artist’s final two decades, Hamiltons’ exhibition will be on view until 25thJanuary 2019. 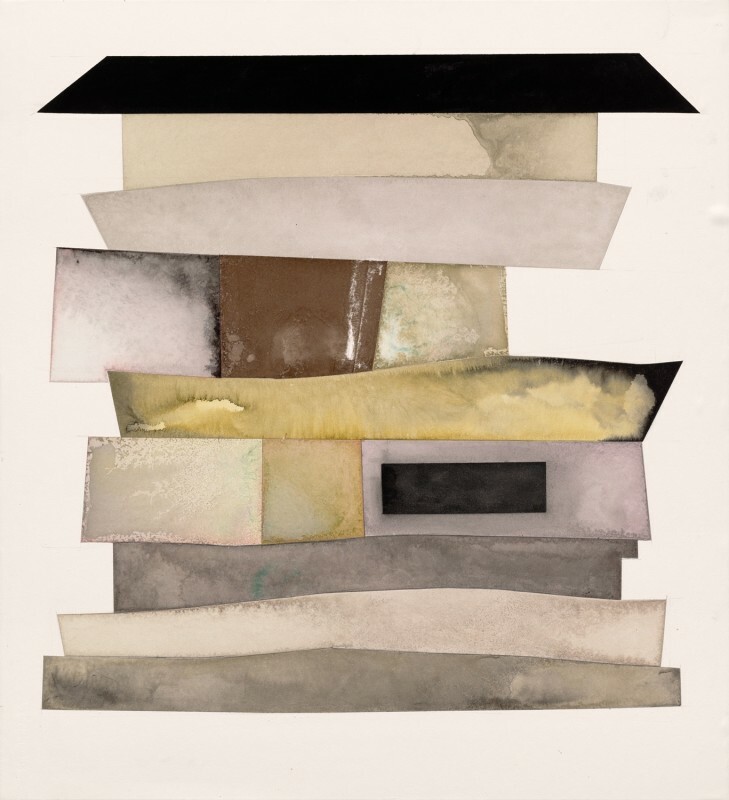 Encompassing multiple works drawn from the collection of The Irving Penn Foundation, the exhibition will showcase Penn’s mixed-media paintings from the late 1980s through the early 2000s, highlighting the artist’s experimentation with materials, form, and colour. Drawing inspiration from leading 20th century figures such as Henri Matisse, Giorgio Morandi, and Fernand Léger, Penn’s textured, primarily abstract, paintings deviate from the striking style of his photographs yet share in similar techniques and bold character. Penn’s paintings comprise successive layers, resembling collages. In an evolution of his platinum-palladium printing technique for photography, many of Penn’s paintings commenced with the artist creating a drawing in graphite or ink of subjects ranging from mushrooms to mythical creatures, which he would then photograph, enlarge, and print to emphasize his lines’ graphic style. The printed form served as the painting’s design, over which Penn would apply combinations of watercolour, ink, dry colour pigments and gum arabic, sometimes adding sand to achieve greater texture. As this practice evolved in the early 2000s, Penn began to forego the printing step, painting more directly and freely. By surveying the full range of Penn’s painting, the exhibition reveals how his style grew increasingly gestural and fluid over time, embracing all that the medium offers. Irving Penn (1917-2009) was born in Plainfield, New Jersey. 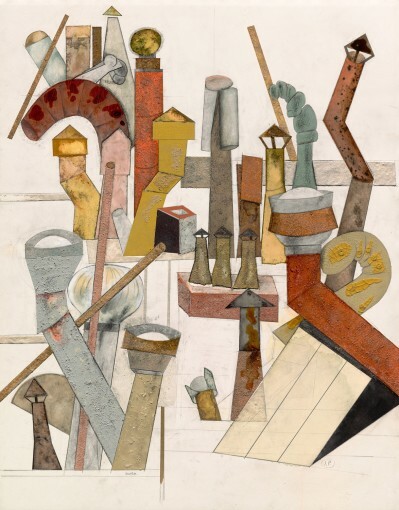 From 1934–38, he studied design with Alexey Brodovitch at the Philadelphia Museum School of Industrial Art. 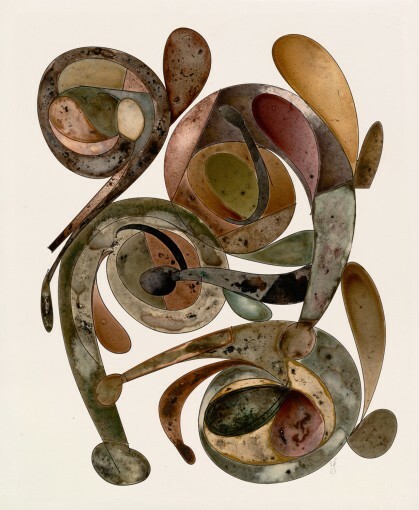 Following a year painting in Mexico, he returned to New York City and began working at Vogue magazine in 1943, where Alexander Liberman was art director. Penn photographed for Vogue and commercial clients in America and abroad for nearly 70 years. Whether an innovative fashion image, striking portrait or compelling still life, each of Penn’s pictures bears his trademark style of elegant aesthetic simplicity. In addition to his editorial, advertising and personal work, Penn was also a master printmaker. Beginning in 1964, he pioneered a complex technique for making platinum-palladium prints, a 19th century print process to which he applied 20th century materials. Penn has had over 40 major museum exhibitions in his lifetime including shows at the Museum of Modern Art, New York, The National Gallery of Art, Washington, D.C., The J. Paul Getty Museum, Los Angeles, and his Centennial opened at the Metropolitan Museum of Art, New York, in 2017, before travelling worldwide.